Isabelle Moretti is one of the most appealing figures both among harpists and in the musical world today. Bright, enthusiastic and with real temperament, she embues her instrument with inimitable style, generosity, sincerity and nobility. Crowned with prizes at international harp competitions in Geneva, Munich and Israel, Isabelle Moretti is invited to the greatest concert halls all over the world. She appears with the Bavarian Radio Symphony Orchestra (most recently under the baton of Sir Neville Marriner), the National Orchestra of Lyon, the Paris Orchestral Ensemble, the German Chamber Orchestra Bremen, the Israel Chamber Orchestra, the Orquestra de Córdoba, the Spanish Radio and Television Symphony Orchestra and the Israel Philharmonic Orchestra. Isabelle Moretti’s solo repertoire extends from the music of the eighteenth century and the first sonatas for pedal harp, to the most complex contemporary world premieres, which she frequently programmes in her recitals. She especially loves chamber music and performs it regularly with her friends Philippe Bernold, Henri Demarquette, Gérard Caussé, François Leleux, Magali Mosnier, and with the Parisii, Psophos and Ebène string quartets. Many works have been dedicated to Isabelle. In 2006 she gave the world premieres of Philippe Hersant’s Harp Concerto at the Théâtre des Champs Elysées in Paris, as well as Michèle Reverdy’s Harp Concerto with the l’Orchestre National de Lille. Isabelle Moretti’s discography, as rich as it is varied, has enjoyed great media success: the Victoire de la Musique, Grand Prix de la Nouvelle Académie du Disque, Prix Charles Cros, Choc du Monde de la Musique, Dix de Répertoire, and "ffff" from Télérama. A renowned teacher, Isabelle Moretti gives masterclasses throughout the world and teaches at the National Superior Conservatory of Paris for Music and Dance (the CNSMD). Since 2008, she is also Visiting Professor at London’s Royal Academy of Music. Isabelle Moretti is a knight of the National Order of Merit. Born in Turin in 1981, Letizia Belmondo began to study the harp at the age of eight at the Suzuki Talent Center in Turin. From 1989, she continued her studies with Gabriella Bosio at the «G. Verdi» Conservatoire in Turin and in 1998, obtained her diploma for the harp. Thanks to a study scholarship from the Associazione per la Musica De Sono, Letizia continued her studies at the Conservatoire National Supérieur de Musique et de Danse in Lyon under the supervision of Fabrice Pierre, then with Nancy Allen at The Julliard School in New York. She also had the opportunity to participate in masterclasses and to study with Judith Liber. Her musical training is also enriched from studying the cello, which she started at the age of five and which she continued with Antonio Mosca at the «G. Verdi » Conservatoire in Turin until 1999. 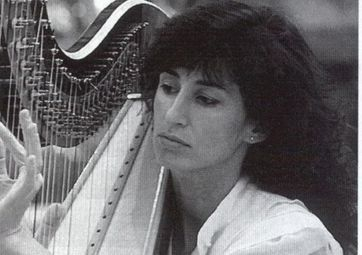 In 2001 Letizia Belmondo won first prize at the prestigious International Harp Contest in Israël, as well as the Ester Herlitz Prize awarded for the best performance of a contemporary piece. She also won numerous competitions and prizes, including the International Harp Competition in Lausanne and special prize for the best performance of the Prélude by Jolivet, the Franz Schubert Competition, the Martine Geliot Competition, the Third Grand Prix at the Lily Laskine Competition, the Società Umanitaria Competition, the Rovere d’Oro Prize and the Victor Salvi Competition. As a soloist, she appears with the RAI Orchestra Sinfonica Nazionale in Turin, the Israel Philharmonic Orchestra, the Orchestre de Chambre de Lausanne, the Mozart Orchestra and the Lucerne Festival Orchestra under the batons of Rafael Frühbeck de Burgos, Bertrand de Billy and Claudio Abbado. From 2005 to 2012, Letizia Belmondo was the solo harpist in the orchestra of the Opéra Royal de la Monnaie in Brussels. She is regularly invited by the Lucerne Festival Orchestra, conducted till recently by Claudio Abbado. She recorded several CDs for Egan Records, Deutsche Grammophon and Tactus label. Letizia is regularly invited to give masterclasses in Europe and in the United States. She is a member of the jury for many international and prestigious harp competitions. From 2006 to 2008, she was the assistant of Fabrice Pierre at the CNSMD in Lyon. 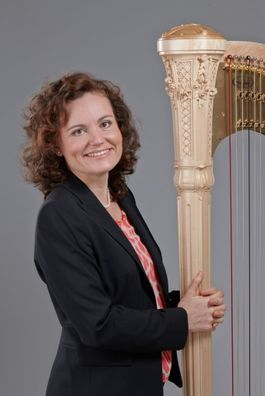 In June 2011, Letizia Belmondo was appointed Professor of Harp at the Haute École de Musique de Lausanne. Stephen Fitzpatrick started playing the piano at the age of four, and three years later started playing the harp. After initial lessons in his native North Wales, he was accepted as a student at the Royal College of Music in London with Marisa Robles. Further studies at the Royal Conservatory in The Hague with Edward Witsenburg culminated with a performance diploma in addition to the degree and teaching diploma already attained in London. As an orchestral musician, Stephen has been co-principal harpist at the Gothenburg Opera Orchestra and Gothenburg Symphony Orchestra, guest principal at the Swedish Radio Symphony Orchestra in Stockholm and in 2000 he was chosen by Daniel Barenboim to be Principal Harpist at the Deutsche Staatskapelle in Berlin. In 2007, he was appointed harpist at the Bayreuther Festspielorchester. He has freelanced with many world class orchestras, including the Berlin Philharmonic Orchestra, Rotterdam Philharmonic Orchestra and La Scala, Milan, and was regularly invited by Christoph von Dohnyáni to be Guest Principal Harpist at the NDR Symphony Orchestra in Hamburg. Stephen has been active as a chamber musician and soloist throughout Europe. He has given solo recitals in England, the Netherlands, Denmark, Austria and as member of various chamber music ensembles has given numerous tours throughout France and Spain. He is committed to contemporary music and has given critically acclaimed performances of works by living composers, from the world premiere of a piece for harp, marimba and vibraphone by Victor Varela (Venezuela) to the oboe and harp concerto by Hans Werner Henze with the Gothenburg Symphony Orchestra. 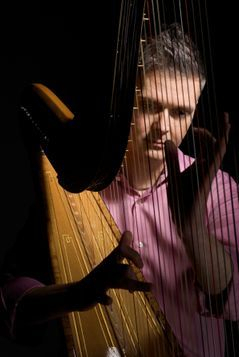 Stephen was member of the harp faculty at the Hochschule für Musik Hanns Eisler in Berlin from 2008-2011 and Professor for Harp at the Barenboim-Said Academy in Seville from 2004-2011. In 2010, he was appointed Professor of Harp at the Mozarteum in Salzburg. In 2013 Andrea Vigh became a rector at the Liszt Academy of Music. She recorded ten solo CDs, all released on the Capriccio and Hungaroton label to great critical acclaim. Following the release of her "Harp Concertos" CD, she received an invitation to the "Die Beste" programme of German state television "ZDF" in 1994. Ms Vigh gave several successful solo concerts in the sold-out Great Hall of the Academy of Music in Budapest, and frequently appears in the concert halls of Hungary and Europe both as a solo artist and a chamber musician. Between 1993-1996 she regularly played with the Budapest Festival Orchestra, including concerts in Berlin and Paris as well as at the Salzburg Festival, and New York's Carnegie Hall. Several TV-recordings have been made of her playing. During the Budapest Spring Festival 2003 she gave an orchestral concert, conducted by Zoltán Kocsis. In 2005, in the Winter Festive Evenings, she performed with Éva Marton and Ilona Tokody in the Palace of Arts. In 2006 she made a DVD recording of Mozart’s Concerto for Flute and Harp with Béla Drahos and the Hungarian Radio Symphonic Orchestra (Hungaroton). 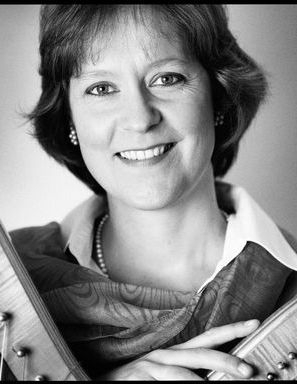 Ms Vigh is the founder and artistic leader of the Gödöllő International Harp Festival, launched in 1999. She is a jury member of the Wales, Arles, Belgrade, Szeged and Gödöllő harp competitions. In 2010 she participated in a very successful tour in Japan. In 2012 she gave a solo recital in Brussels and held a master class at the Brussels Academy of Music. Melinda Felletár began her harp studies at the Szeged Conservatory under the supervision of Richard Weininger (harp) and Lajos Huszár (composition). In 1978, she moved to Moscow to continue her studies at the Tchaikovsky Conservatory in the class of Vera Dulova. After returning to Hungary in 1983, she was appointed as the solo harpist of the Szeged Symphony Orchestra and the National Theatre of Szeged until 1988. Since 1985, she has played the majority of solo harp repertoire in Hungary and abroad. She recorded the Romance by Leo Weiner with János Starker in 1999. 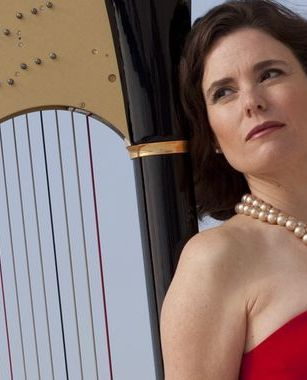 Between 1998 and 2010, she was the principal harpist of the MATAV Symphony Orchestra. Since 1991, she has been the professor of harp at the Liszt F. Conservatory in Szeged. In 2010, she obtained her doctoral degree at the Liszt Ferenc Academy of Music. Melinda performed six Hungarian harp concertos in a three part concert series in the Hungarian Public Radio, which earned her fame and success. Four of them she recorded on CD, three of them were recorded at the first time. Among them she premiered the concerto of Sándor Balassa that was dedicated to her by the composer. Recently she has been extensively touring the world performing in recitals and concerts with symphony and chamber orchestras alike. She appeared on stage in Rome with the Orchestra Sinfonica di Roma, in Serbia with the National Symphony Orchestra, in Mexico with UANL Symphony Orchestra, and gave a performance of chamber music in Vienna. She was the guest soloist during the concert tour of the world renowned Liszt Ferenc Chamber Orchestra in Switzerland. Trained as a classical musician, the leading harpist of Turkey is equally active in the realm of Turkish traditional music, improvisation, electronic music, tango and semi-staged performances as she is in mainstream harp repertoire to which she contributes with new works commissioned for her. Born in Ankara, Sirin completed the European part of her education at the Geneva Conservatory and subsequently received a Master’s degree from the Indiana University School of Music in USA. She released eleven recordings in her home country and abroad to this date and performed at festivals and concert halls in UK, France, Germany, Belgium, Scotland, Malaysia, Singapore, China, Japan, USA, Mexico, etc. Pancaroglu has also been composing since 2013 and in she was awarded a third prize in the Altin Elma Composition Contest. She was presented with an Honorable Mention by the Middle East Technical University Senate and holds the “Best Virtuoso” Media award of the 19 Mayis University along with an award given by the Contemporary Journalists Association. She is the founder of the Association for the Art of the Harp in Istanbul. Şirin Pancaroğlu led a career of academician for six years and has been working with children and adult beginners for many years. She is a published writer of articles on education and musical culture in reviews and newspapers and has been serving on the board of World Harp Congress since 2011. 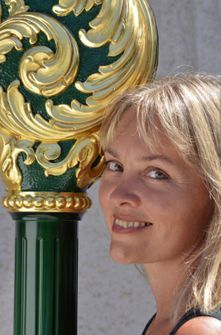 Manja Smits became the first harpist to receive the Netherlands Music Prize (1993), the highest state award for classical music in the Netherlands. She also was a prizewinner in the 'Torneo Internazionale di Musica' in Rome. (1998) After her musicstudy in the Netherlands she studied with the late Prof. Vera Dulova at the Tschaikovski Conservatory in Moscow. She attended masterclasses with Susann McDonald, Andrew-Lawrence King and Germaine Lorenzini. Manja was invited by the International Harp Festivals and performed worldwide from Japan to Brasil. She is a regular guest at the World Harp Congress. As a soloist she performed with a.o. Nieuw Sinfonietta Amsterdam, the three dutch Radio Orchestra’s, the Gelders Orkest, Ensemble XXI (Moscow), Northwest Sinfonietta (USA), the London Festival Strings and ‘Deutsche Kammerakademie Neuss’. After a period as solo-harpist of the Residentie Orchestra in The Hague she decided to concentrate on her solo-career, chamber music and coaching of young harpists. Manja Smits teaches at the ArtEZ Conservatoire of Music in Zwolle and at the Prins Claus Conservatoire in Groningen. She founded in 2008 the annual Harp Summercourse in la Roche sur Foron in Haute-Savoie, France. Manja is president of the Dutch Harp Association and regularly invited for masterclasses and as a juror in national and international competitions. She recorded several chamber music CDs with ensembles like the Renoir Ensemble and ‘Les Quatre’. Her solo CD appeared on the Vanguard Classics label. Dalibor Bernatovič studied clarinet and saxophone in the Secondary Music School Maribor and harp in the Secondary Music School Ljubljana at the same time, and after at the Music Academy in Ljubljana in the class of Prof.Ruda Ravnik – Kosi and at the Music Academy in Zagreb class of Prof. Marija Mlinar. For 15 years he was soloist of Maribor Opera and Philharmonics. He currently teaches in music schools in Maribor, Celje, Velenje and Ljubljana. His pedagogical work and experience are constantly being confirmed by high achievements of his students on competitions across Europe. As a soloist and member of chamber ensembles, as well as with the Opera and Philharmonics he performed in almost all countries of European Union, in Ukraine and on Taiwan. Nowadays he is engaged in pedagogical work, composes for harp solo and chamber harp music (with wind instruments and with solo voice), He is also writing and preparing the first method for harp in Slovenia, to be published in 2016. Dalibor Bernatovic is the president of Slovenian Harp Association for last 20 years, and he regularly organizes international competitions, master classes in Slovenia and concerts with well known harp artists. Born in Hungary, conductor Sándor Gyüdi started his music education as a violoncello player, later as a singer but decided not to pursue music after graduating from high school. Only after receiving a diploma in mathematics and physics from the Szeged University in 1983 did he finally decide on a musical career. While remaining active in music in Szeged, he studied conducting in Budapest at the Ferenc Liszt Academy of Music. After receiving his diploma in 1988, he was appointed conductor and choir director at the Szeged National Theatre. In the first years of his professional career he was known as a specialist in choirs, a winner of several prizes, professor of choir conducting, a jury member of several international competitions. 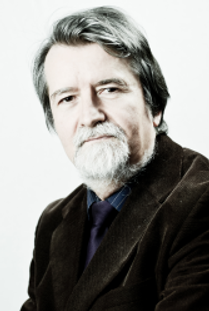 According to his vocal interest, he has been the artistic director of the oratorio chorus of Szeged since 1988. His charismatic personality, distinctive musical ideas and wide repertoire have captivated audiences of his concerts in nineteen European countries, where he has been frequently reinvited. His recordings were published, besides Hungarian publishers, by the Belgian Duchesne World Records (Piano concertos of Mozart). Since his first appearance in Spain, conducting a Christmas Concert in the Royal Basilica of El Escorial, 1991, he has given more than fifty concerts in the major cities of the country. In 1990 Sándor Gyüdi became associated with the Szeged Symphony Orchestra and was appointed their Director & Principal Conductor in 1999. He has been primarily responsible for enhancing the reputation of the Szeged Symphony Orchestra, who have had wide acclamation on their extensive tours at home and abroad. Ferenc Kerek is Franz List prize winning pianist, founding dean of Faculty of Music, University of Szeged, where he is professor and the head of the piano department. Mr. Kerek graduated at Ferenc Liszt Academy of Music in Budapest, his piano teacher was Kornél Zempléni. For decades he has been juror of prestigious international piano competitions. He also often leads piano master classes in many European countries. Since 2005 Mr. Kerek has been the founder and artistic director of Summer Music Academy and Master Course in Szeged, as well as the Szeged Competition of Contemporary Music and the International Bela Bartók Piano Competilton, which is organized every second year since 2004. Many of his students are now his colleagues, successful piano teachers and artists. His school-founding work has been recognized many times; he is very proud and honoured that on 16th October 2013 he was awarded the Instructor Award, which was founded by the students of University of Szeged. Mr. Kerek recorded many CDs, one of the most famous of them contains rare Liszt’s compositions, such as Revive Szegedin!, and he also have recordings with the Hungarian Baroque Trio. Mr. Kerek is concert pianist, often performing music written for him by contemporary composers. He received the Artisjus Award for his performances of contemporary music four times. Mr. Kerek also was awarded with Weiner prize and plaque for his work for the Hungarian Higher Education. 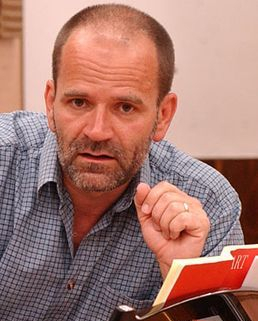 Composer Péter Tóth was born in the city of Budapest in 1965. He completed his studies at the Béla Bartók Conservatory as a double major in percussion and composition, where his teachers were Oszkár Schwartz and Miklós Kocsár. In 1985 he was admitted to the Franz Lisz Academy of Budapest, where he earned his degree in composition (1990), studying with Emil Petrovics. He also holds a degree in sound engineering, cultural management and public eduation leadership. He attained his Doctoral Degree in Music in 2008. Dr. Tóth worked as adjunct faculty at the University of Theatre and Film Arts, Budapest and taught at the University of Debrecen as well. He has been Artistic Director of the concert hall “Óbudai Társaskör” in Budapest. 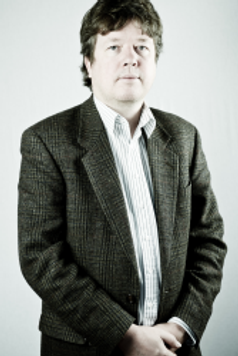 Currently he is Dean of the School of Music at the Unversity of Szeged, as well as Chair of the Department of Theory. He also holds a position at the Hungarian Academy of Arts as Chair of Music Section. Péter Tóth has composed sound tracks to numerous movies/motion pictures as well as worked as sound engineer and director in several of those projects. As an international composer of Classical and Choral works, his music is regularly performed in Europe, North Amercia and throughout the wold. He is a founding member of the first online hungarian classical magazine “Café Momus”, and is co-founding member and owner of Kontrapunkt Publishing Co. (2009). He is recipient of the Kincses József – prize (1990), Kodály – scholarship (1990,1992), Erkel – prize (2007), Diapason D’Or – prize (2009), KÓTA – prize (2009) and the Bartók – Pásztory Ditta – prize (2013).